2 Beds 2 Baths 980 Sq. ft.
2BR - 2BA 1st floor condo. This unit shows like new and is ready for a new owner to live in or rent out as an investment property. New carpet in bedrooms and entire inside professionally painted. Living room, dining area, entry foyer and kitchen have ceramic tile flooring. Private screened porch off living room. Split bedroom plan offers privacy and a full en-suite bathroom for each bedroom. Walk-in closet in master bedroom offers plenty of storage space. Fully equipped kitchen includes all appliances and has pass-thru to dining area. Inside utility closet with washer & dryer included. This unit is light and bright with windows on 3 sides. Assigned parking space and guest parking nearby. Just a short walk to community pool, tennis courts, basketball court and racquetball courts. Well maintained community with on-site property manager. Condominium maintains exterior of all buildings, grounds, 2 lakes and recreation area. Water, termite bond, garbage pick-up and common area insurance included for all units. 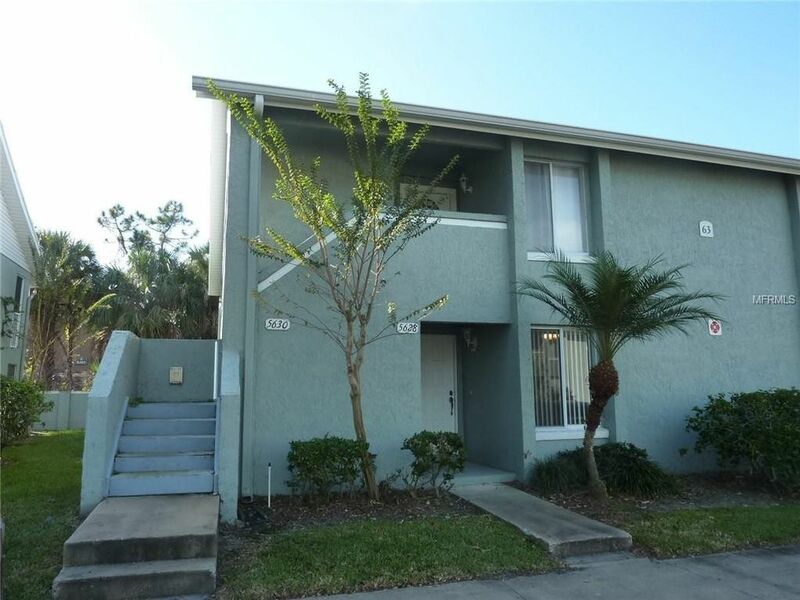 Conveniently located near shopping, Universal Studios, Disney, International Drive, Valencia College, I-4 interchange, Millenia Mall, Downtown Orlando and the Airport. Directions: Kirkman Road 1/4 mile north of Conroy Road to first Pine Shadows entrance on the right. Then first right on White Pine Avenue then left on Blue Shadows CT to #5628.